What kind of book would you like to get stuck into this month? Do the dark nights tempt you toward a murder mystery? Does the current wave of female empowerment make you want to discover more about strong women? Could you relate to a memoir about the roller coaster friendship between two female writers? Or perhaps a story about teenagers with disabilities might intrigue you. There's plenty of variety to choose from in this month's Literary Mama staff recommendations. 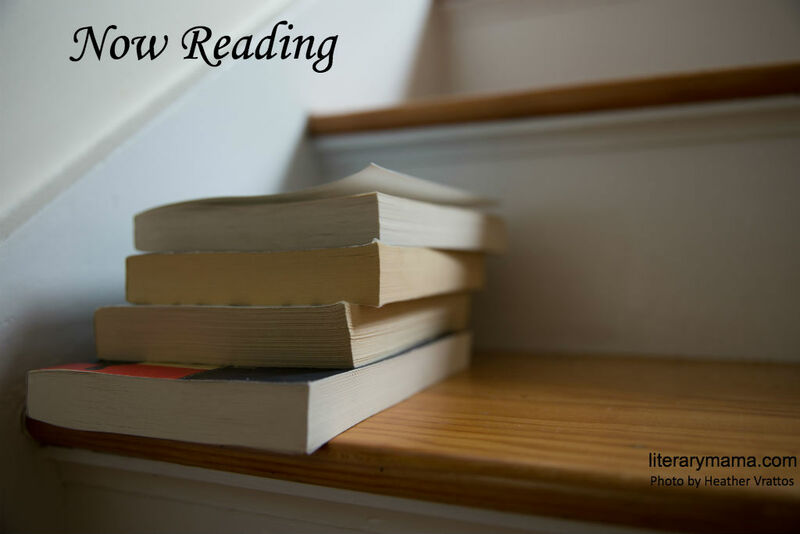 Christina Consolino, Senior Editor and Profiles Editor, has this suggestion for us: "In my quest to read outside my comfort zone, I picked up Burned Bridges, by C.L. Pauwels. It's the second novel for Pauwels that features Toledo Homicide Detective Veronica Jadzinski, known to her friends as Jadz. In this installment, Jadz and her ex-husband, Nate Solomon (who is a retired-cop-turned-PI), come together to work a case involving Nate's childhood friend, Reggie. At first glance, Reggie's murder seems to fall into the standard category of 'drug bust gone bad,' but with the help of friends, family, and colleagues, it soon becomes clear that this case is anything but standard. Not only is Reggie's case connected to another murder, but it's quite possible that an organized crime family is involved, too. I found myself engaged with the complex layering of story lines that Pauwels effortlessly weaves together and I particularly appreciated the emphasis on the characters' interpersonal relationships. 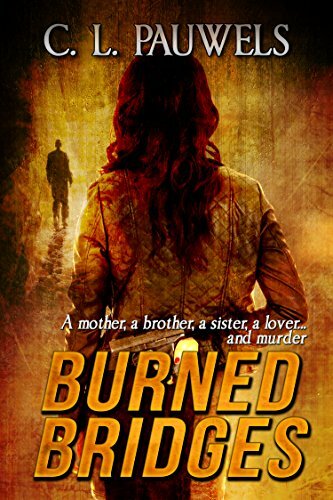 The author's former life as a police and fire dispatcher and her attention to detail paint an accurate and gripping portrait of the life of a Toledo cop that kept me turning the pages." Reviews Editor Jamie Sumner read a book with a very personal connection this month. 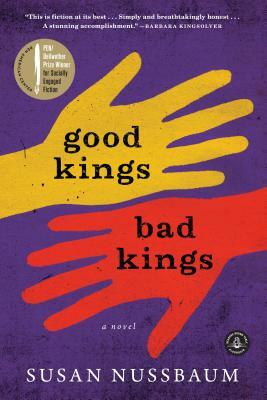 She writes, "Here is a book I could not put down and cried and laughed my way through: Good Kings Bad Kings, by Susan Nussbaum. It ran my emotions on its roller coaster track before gently opening the gate with a 'have a nice day.' It’s that kind of book. It is set in a state-run home for crippled kids or 'crips.' That’s the word Nussbaum uses. As a mom to a son with cerebral palsy, who is most definitely handicapped and in a wheelchair, the word hit me hard, like a slap across the face. But the author, wheelchair-dependent herself, uses it with power and sass, like 'these are my peeps, my crips.' She makes it a strong word. And because of that I kept going. The book reads like a play—a series of monologues ranging from a Hispanic girl with cerebral palsy, to the Puerto Rican bus driver, to the narcissistic CEO of the private medical company that just took over management of the public home. Nussbaum masters every voice, which makes sense as she is a playwright. It’s a book that will open your mind to a world both colorful and sad, both poignant and hilarious. It’s about disability and it's about so much more." Kim Ruff, Creative Nonfiction and Fiction Editorial Assistant shares: "I have been an avid reader for more than 30 years. When I was ten, I started reading Stephen King and Nancy Drew, and in my 20s, it was Mitch Albom and Dan Brown (somehow, I never got into Harry Potter). In my 30s, I read whichever books were assigned to me through my undergrad and graduate English courses (too long a list of great works to mention here), but there's always some book that someone mentions that I can't believe I haven't read yet. 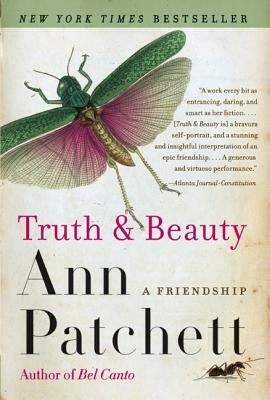 Recently, that book was Ann Patchett's Truth and Beauty. My life as a full-time working mom (and Netflix addict) limits my reading time, but the intimate details of Patchett’s tumultuous friendship with Lucy Grealy had me flipping quickly through the pages. This is not a book you walk away from; this is a book you stumble away from because you have just experienced the wildest roller coaster ride of your life; a roller coaster with the tallest peaks, the deepest valleys and a hundred loops—too many thrills for one to ever catch her breath. Which is probably why I found myself many times shaking my fists at the book, asking Patchett, 'Why the hell do you put up with her?' But I know the answer—just like Lucy always knew the answer—Patchett loved Lucy. I think we’ve all had a friend like Lucy. A friend that we respect or are a little jealous of or get infuriated by, but in the end, one that we’d go to the ends of the Earth to protect or save, which is what Patchett tries to do for Lucy in Truth and Beauty." Social Media Editor Abigail Lalonde was reminded of an important duty by her recommendation. She reveals, "Who knew a horror television show would peak my interest into political nonfiction, certainly not me. 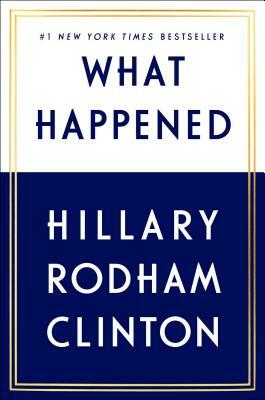 But after watching the first two episodes of American Horror Story: Cult, which is set during the 2016 US presidential election, I had the sudden urge to read Hillary Rodham Clinton's, What Happened. While I feel the text is heavy handed at times, it also offers a peek into the humanity we often forget lies beneath a candidate. Clinton offers her feelings on the primaries, her opponents, the scandals, and even the current political climate. She also speaks on feminism, misogyny, and her role in what will hopefully be the future demise of the glass ceiling. The book helped to humanize Clinton for me, a quality she was often accused of lacking on the campaign trail. Perhaps the time she's had to reflect and spend with her grandchildren has changed her, or perhaps it's me who has changed in the past year. Regardless of anyone's politics, there's a deeper message within the book—civic duty—wherein Clinton reminds the reader that helping others in need is something in which we should all take part. I was able to take away from the book that if I want my government to help those in need, then it is also my duty to dig deeper and help them too."